Capt. 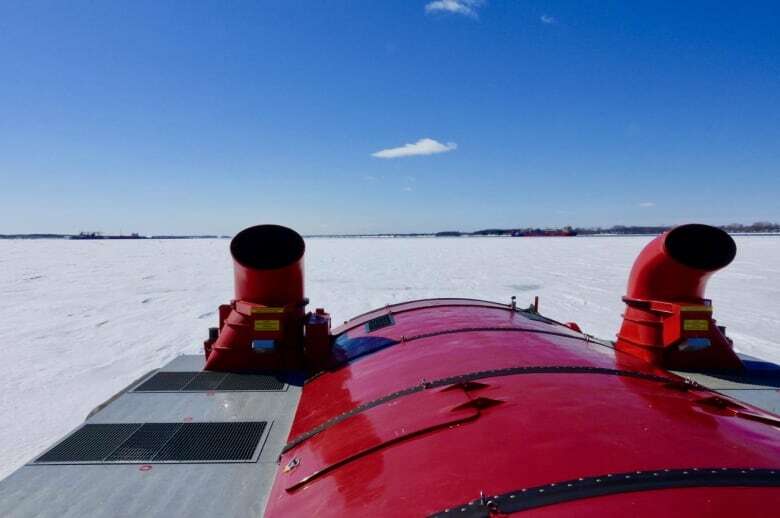 Dany Boudreault is supposed to be retired, but instead he’s back at the helm of a 70-tonne, 4,000-horsepower hovercraft, doing doughnuts on the St. Lawrence River. 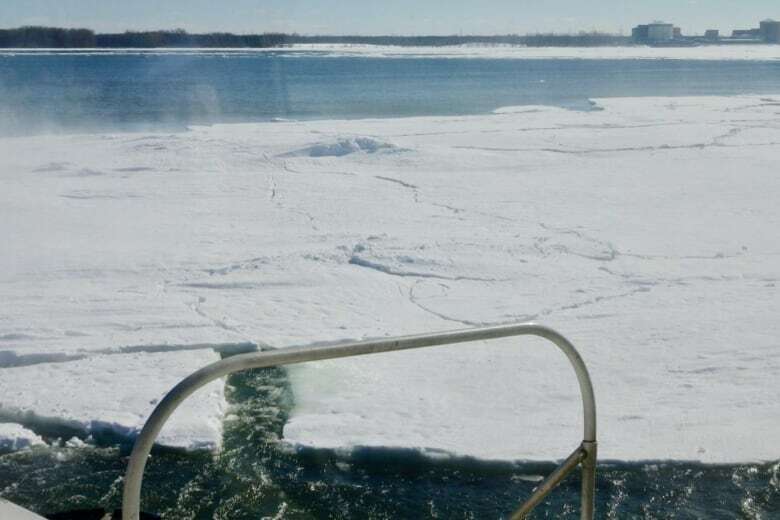 Boudreault is trying to whip up waves next to the metre-thick floes coating the waterway. Those waves will push up and under the ice sheets, fracturing them into chunks small enough to float harmlessly downstream. 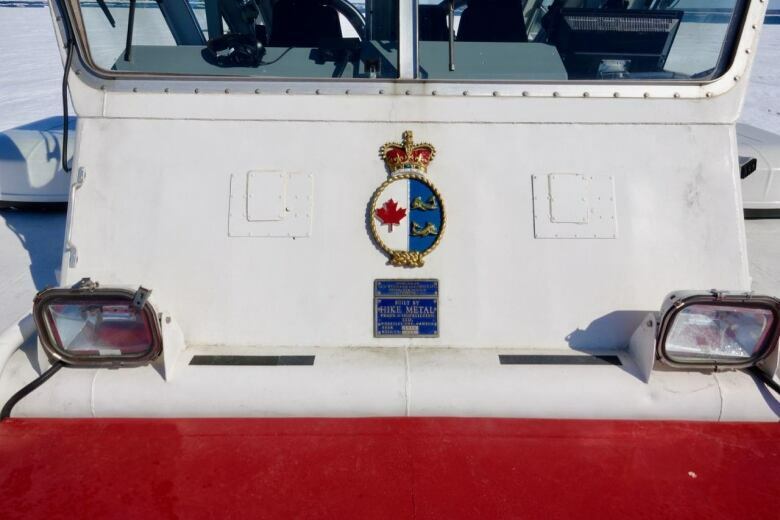 The thrill of piloting the Sipu Muin, which means River Bear in Mi’kmaq, is what brought Boudreault back to the Coast Guard after he hung up his captain’s hat a year and a half ago. 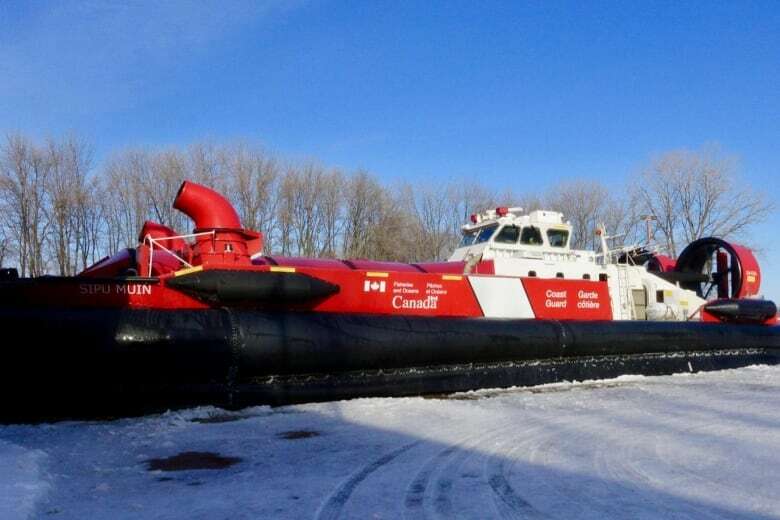 The vessel is one of two hovercraft at the Trois-Rivières base charged with breaking up ice where rivers empty into the seaway — without touching the ice. As they crack jokes over the ship’s radio, it’s obvious Boudreault and First Officer Vincent Lessard-Giroux enjoy their work. But it’s also serious business. Every spring, ice on nearby lakes and rivers melts, sending water rushing downstream toward the seaway. If the mouths of those waterways are jammed with ice, surrounding towns and farmland get flooded. The Coast Guard’s task is to make sure that doesn’t happen by keeping the water flowing. It says hovercraft are perfect for the job. With a cruising speed of 45 knots (84 km/h) the Sipu Muin can cover a lot of distance quickly. It’s an all-terrain vehicle, hovering about one inch above whatever it’s gliding on — earth, water or ice. That means it can get into shallow waters and up into small rivers and lakes to break up fast ice — the ice attached to the shore. “What we’re starting to do right now is what we call the spring breakout,” says Isabelle Pelchat, the coast guard’s Arctic operation national manager. 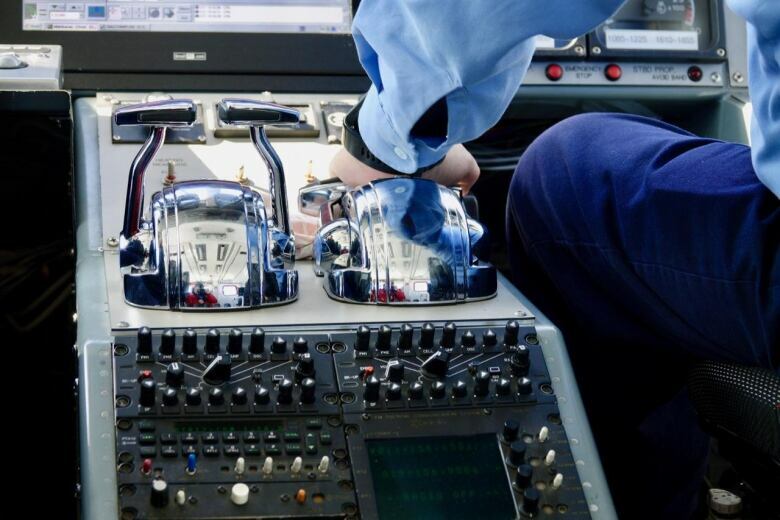 Pelchat and her team in Montreal manage a fleet of 18 icebreakers across the Eastern and Atlantic regions, 16 of which have conventional hulls, plus the two hovercraft in Trois-Rivières. She says with a thaw on its way, the risk is for a big piece of ice, potentially miles long, detaching itself and drifting into the navigational channel. Besides being an impediment to commercial shipping, a big floe could create an ice jam downstream and bottle up the entire river. 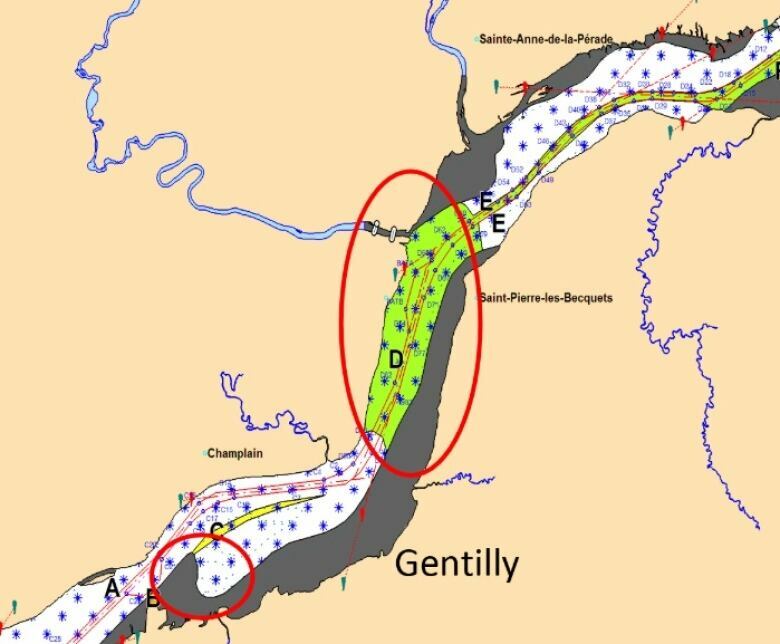 Still, she says they are on alert for flooding, particularly for the waterways that empty into Lac St-Pierre, like the Richelieu and Nicolet rivers. Lessard-Giroux says the ice has been thick, and piloting the craft on smaller rivers can be challenging. 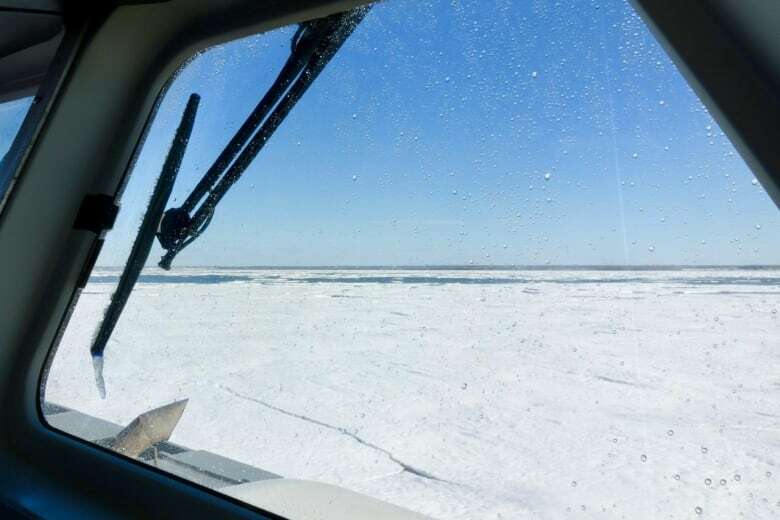 The pilots and their crew will have their work cut out for them over the next few weeks as the spring thaw accelerates. Pelchat says the two icebreakers will be working every day to keep on top of rapidly changing conditions. The Coast Guard also uses two helicopters, which do daily patrols with an ice specialist from Environment Canada on board. As the hovercraft zigs back and forth across the water near the former Gentilly nuclear power plant, the ice in its wake cracks, then falls off into chunks that float in open water. On the ship’s radio, Boudreault and Lessard-Giroux note the breakup with satisfaction. 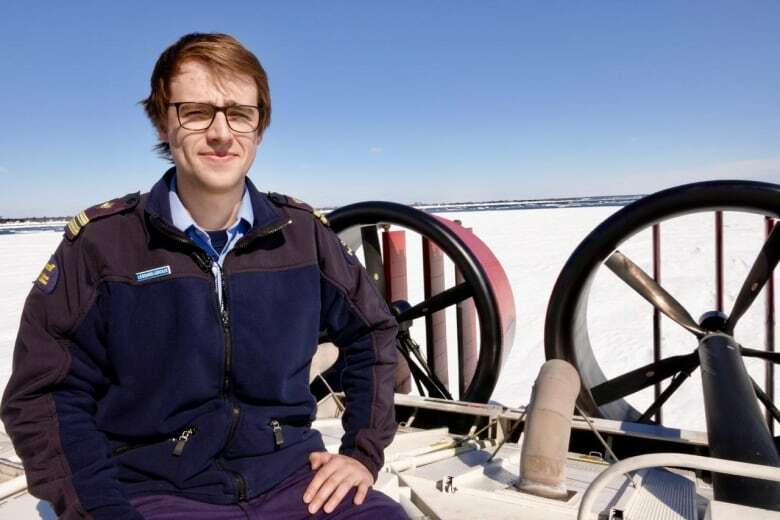 Boudreault estimates he’s logged between 3,000 and 4,000 hours at the controls of hovercraft. These days, Boudreault comes to work for the joy of driving, and to keep up his skills. Gliding along at almost 90 km/h, the experience is much like flying in airplane: some bumpiness, but overall much smoother than being at sea. But Lessard-Giroux says it’s about more than just the rush of making such a huge machine move so fluently. “We feel useful,” he says.